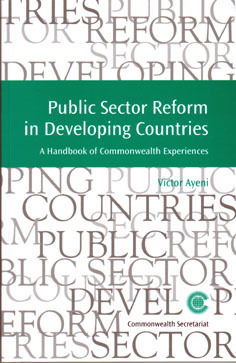 A country-by-country synopsis of public sector reform in 40 Commonwealth developing countries. The book presents a brief profile of each country and the background to recent political and economic changes, followed by an outline of the key reform initiatives, the implementation processes, the achievements and the problems encountered. Wherever possible each section concludes with a sketch of proposed initiatives and future programmes. This accessible publication focuses on the experiences, successes and achievements of developing Commonwealth countries, and aims to facilitate the sharing of experience and good practice. It is a seminal departure from the existing literature in the area of public sector reform, which largely concentrates on the individual experience of the developed countries. This publication explores some of these recent strategies based on Commonwealth best practice. It presents, among other things, guidelines on developing clients’ charters, setting appropriate standards for public services, and meeting the expectations of the socially deprived.